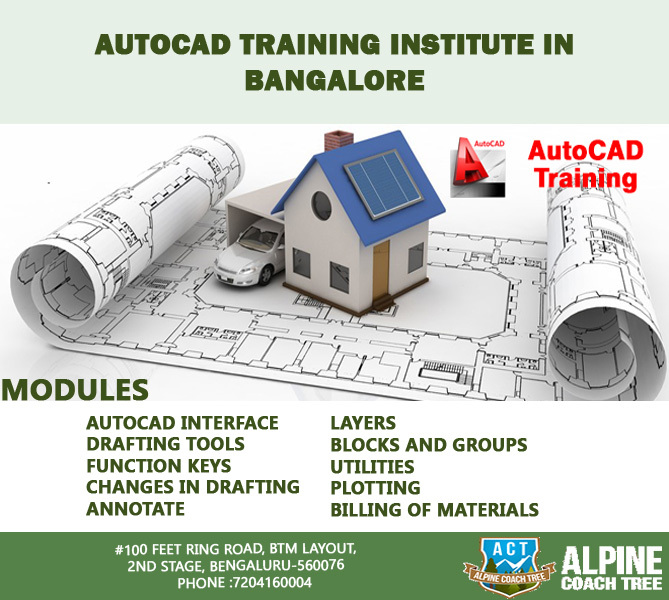 Alpine Coach Tree is the popular institute for autocad course in Bangalore. We give you top-level instruction and will make you capable enough to grab a job opportunity. To join AutoCAD course in Bangalore Contact now: 7204160004, book a slot and attend for a free demo.